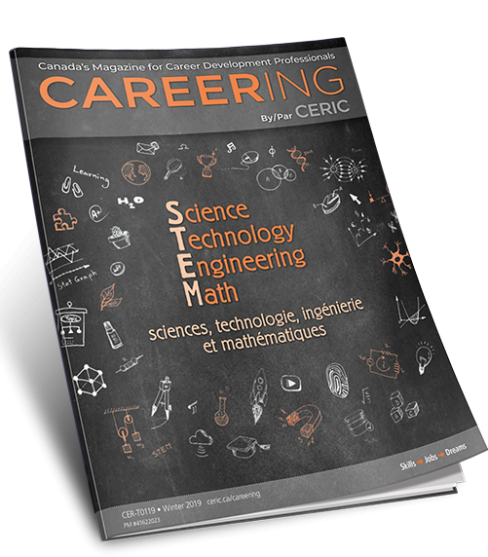 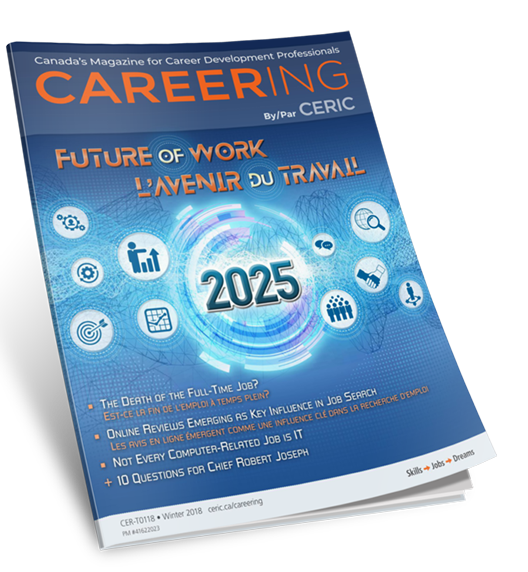 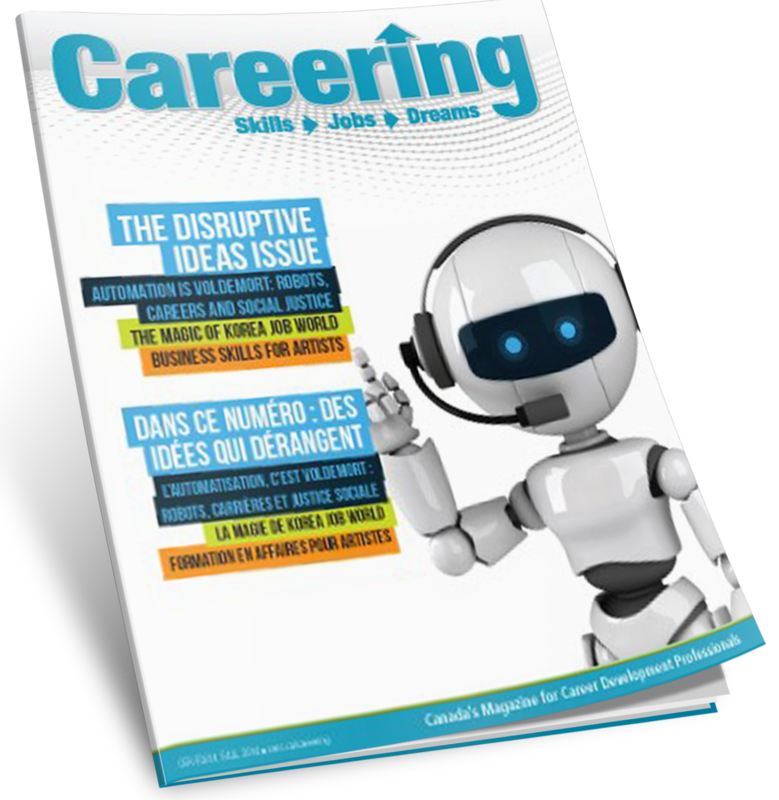 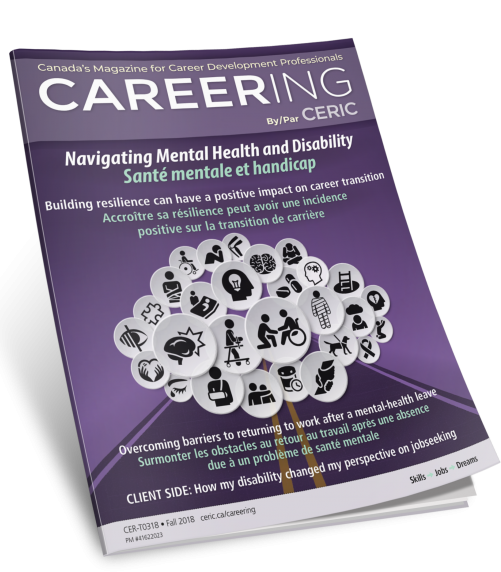 Published by CERIC, Careering is a free resource by and for career development professionals in Canada. 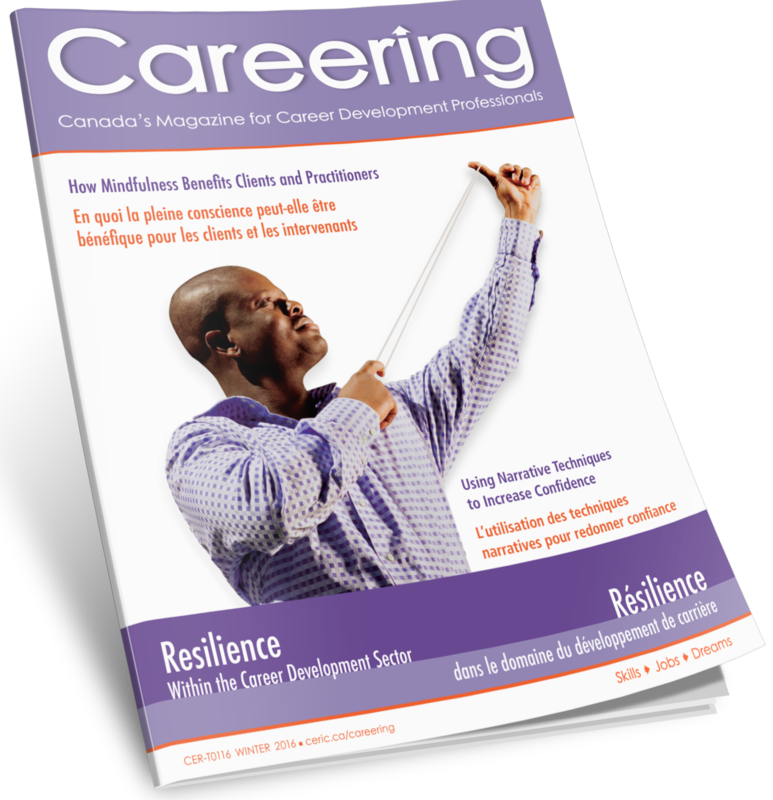 Careering magazine is distributed in both a print and digital format three times a year and includes select content in French. 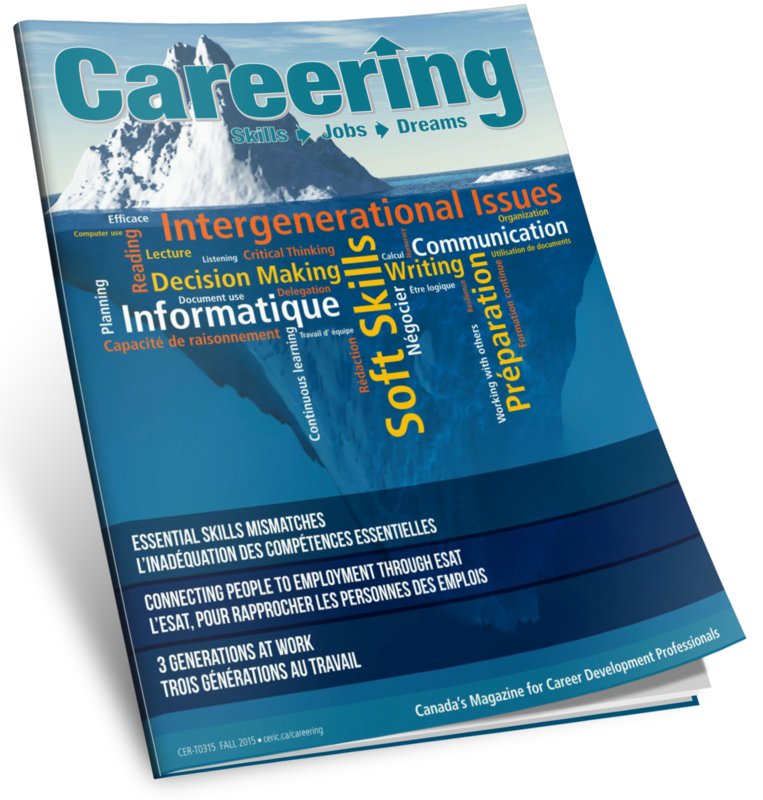 The magazine provides reflection and analysis of the latest career counselling and development practices and theories. 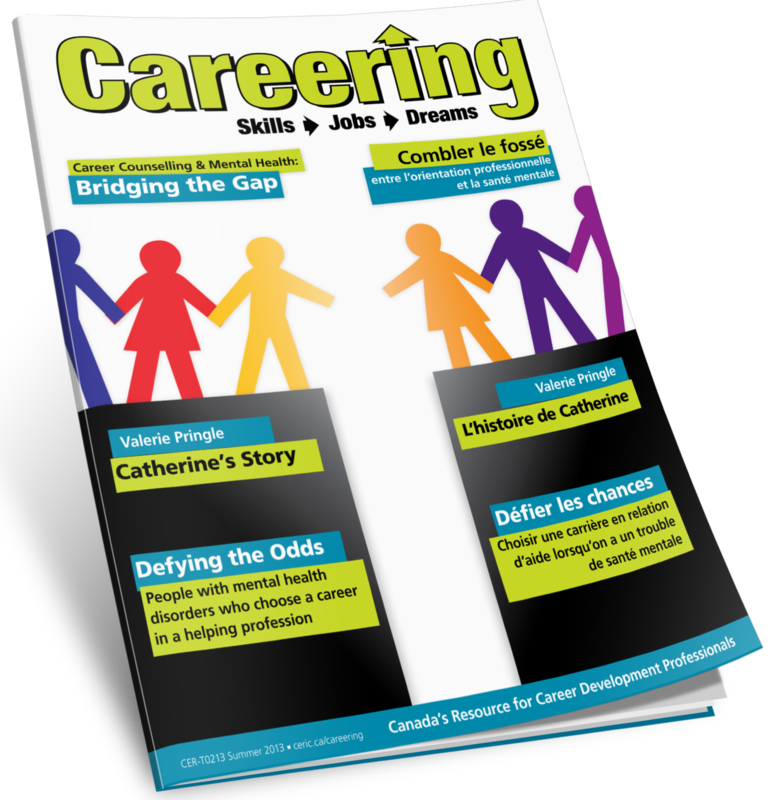 It is published in partnership with the award-winning Market Zone Productions, based in Winnipeg. 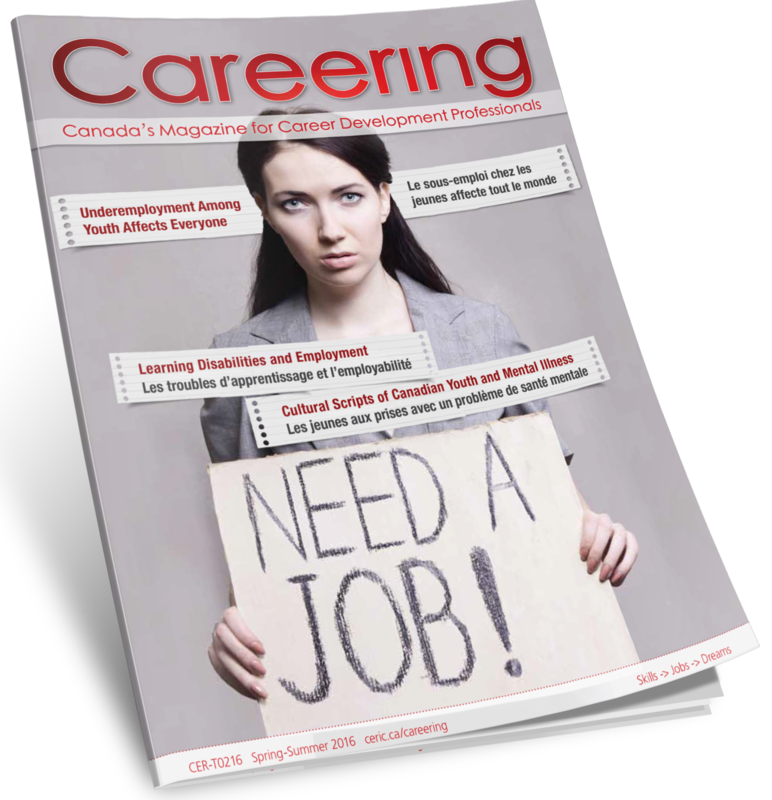 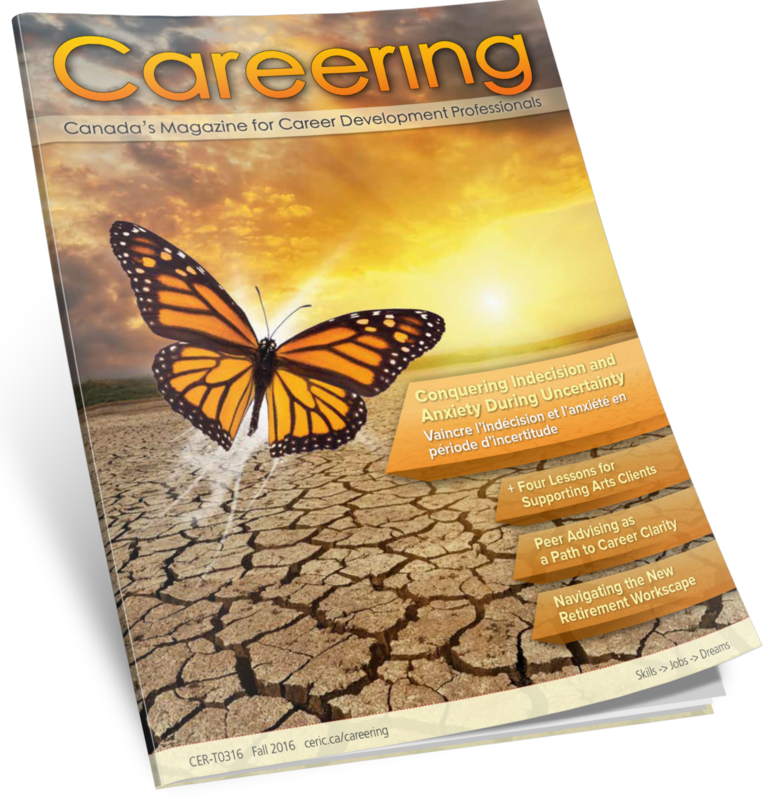 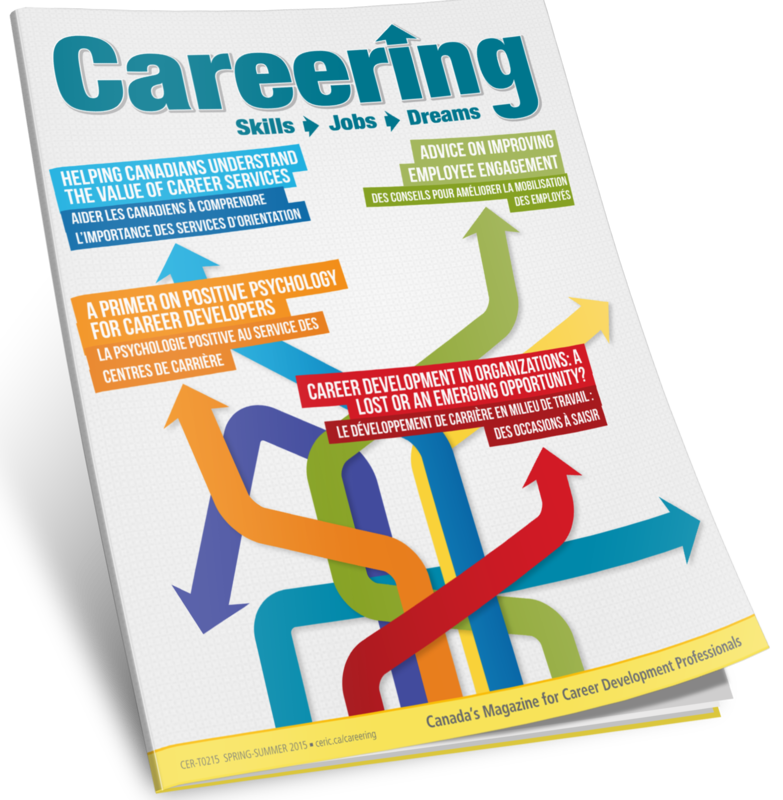 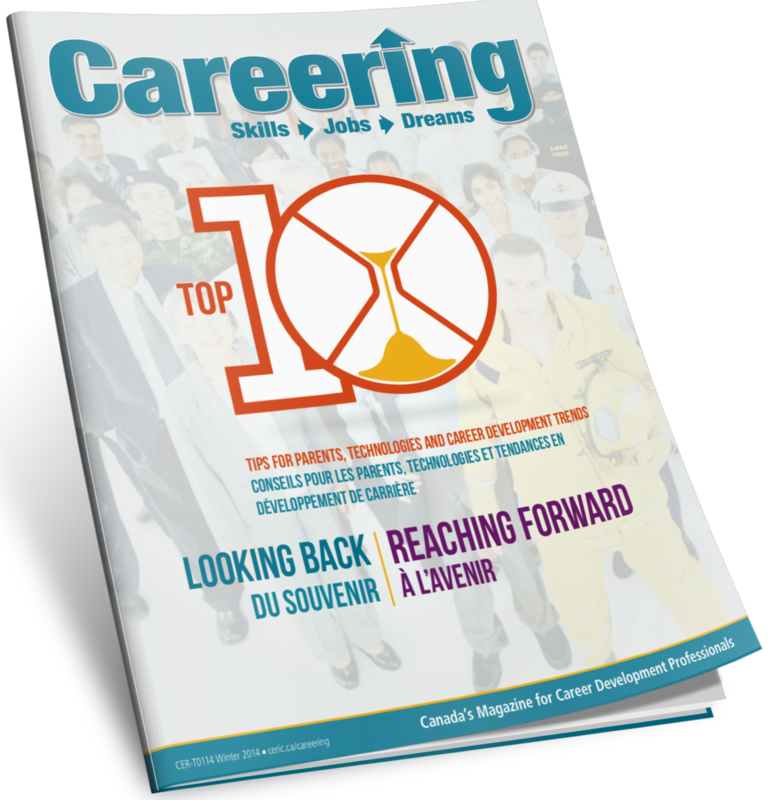 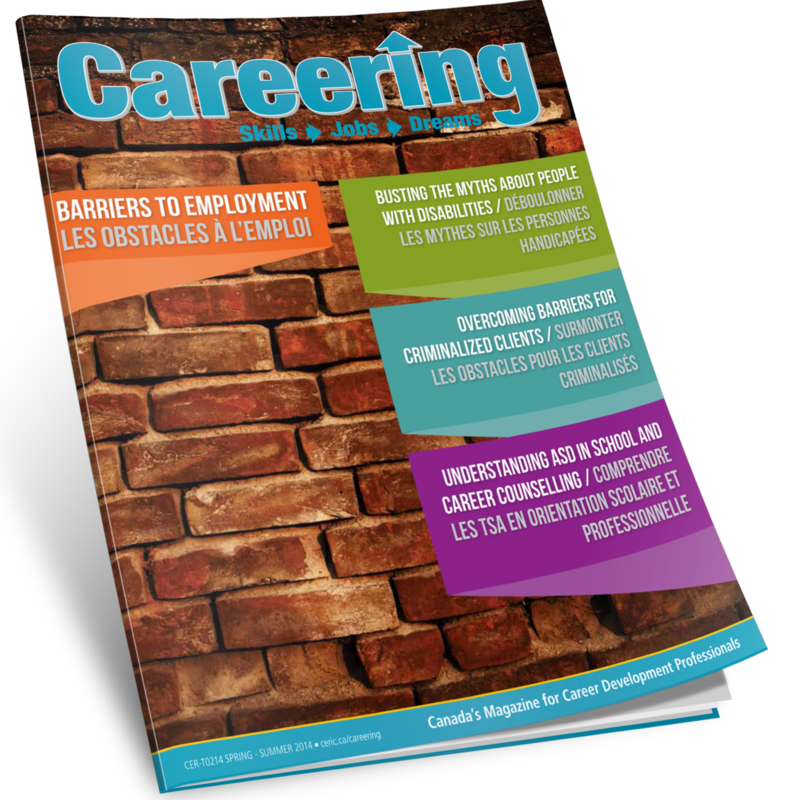 Careering is Canada’s magazine for career development professionals and provides timely and relevant information to stakeholders across the career development spectrum, including guidance counsellors, employment advisors, career coaches and human resources professionals. 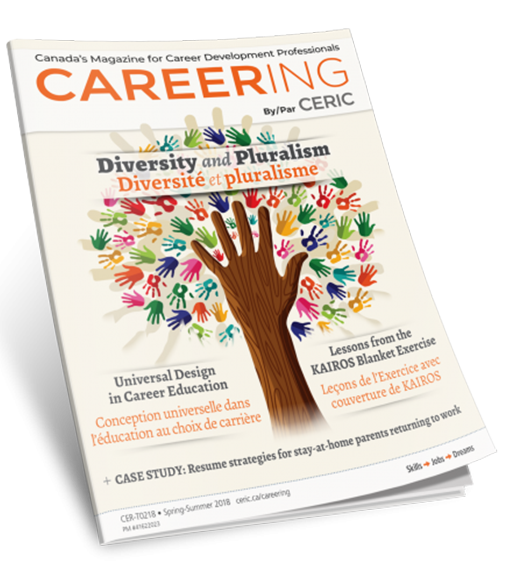 The magazine forms part of CERIC’s mandate to advance knowledge in the field, champion multi-sectoral communication and facilitate conversations about the value of career development. 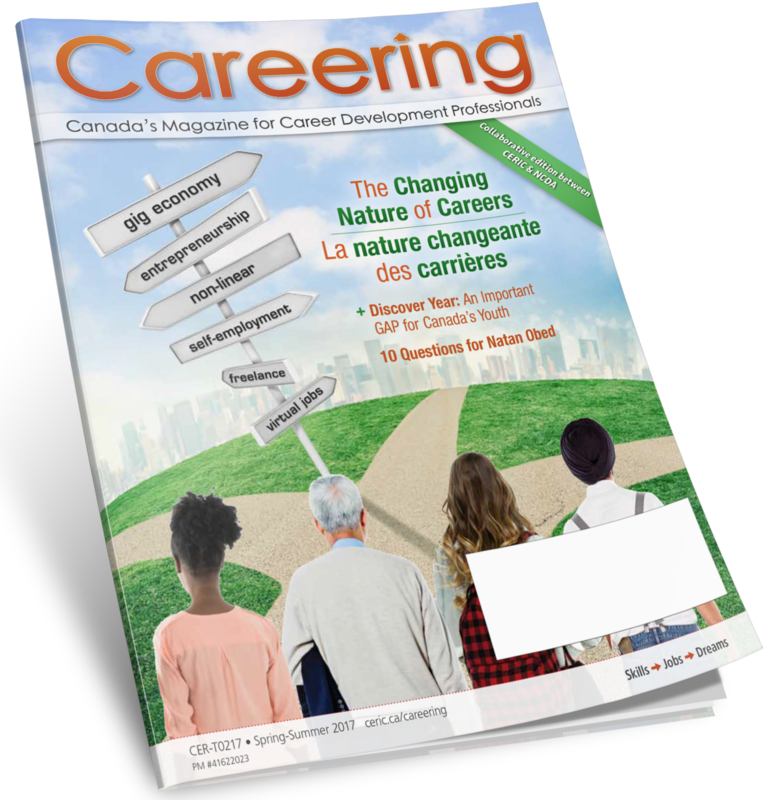 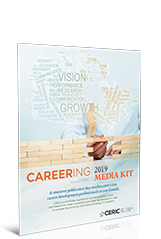 With a national distribution of 7,000 print and 8,200 electronic copies, Careering offers excellent opportunities for advertisers (pdf) to showcase themselves to an influential audience counselling Canadians about career opportunities, and education and training options. 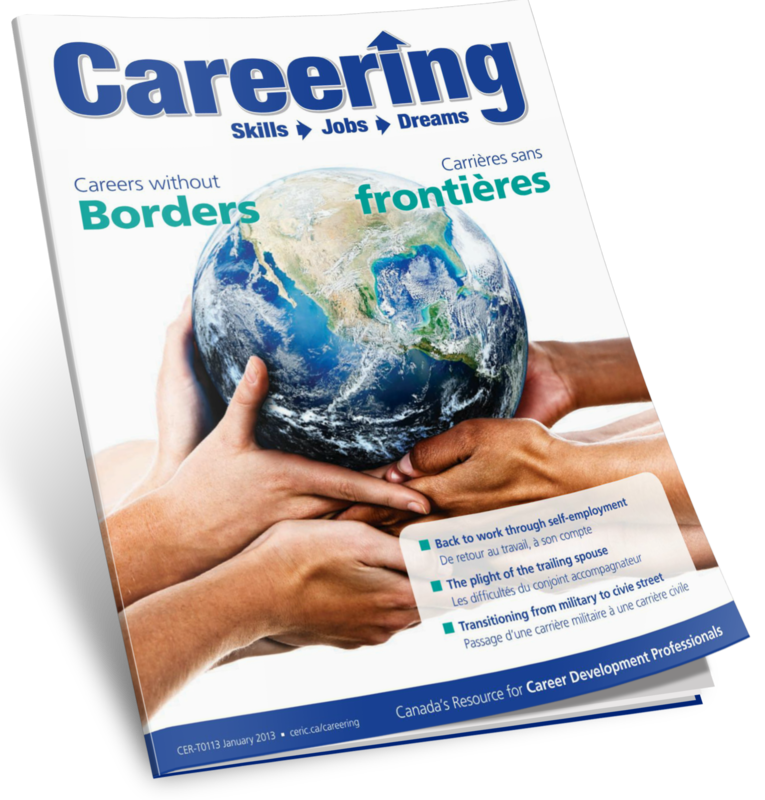 Prior to 2013, a predecessor publication called The Bulletin was published. 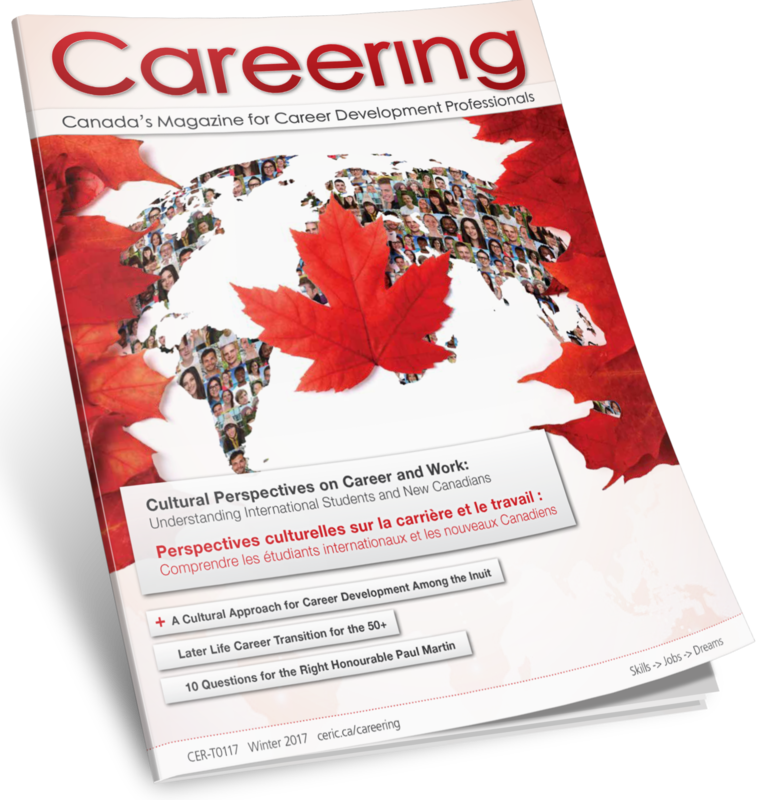 All past issues remain available to access.